Hey Mike, what're the folks who created the crisis up to these days? "They're being paid all over again to sort through the mess becausethey're the experts. 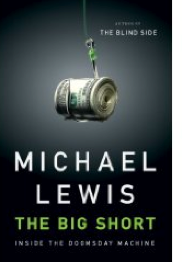 That is an age-old trick on Wall Street, 'causegenerally speaking, people who create disasters make a lotta money cleaningup the disaster because they're the ones who know about the disaster ... themost instrumental in building the subprime mortgage machine also happened tobe the ones who had the most detailed understanding now of the securities inthe rubble." Did Goldman's political connections help it get a hand from Uncle Sam? "It's hard to know. There's no proof. But it certainly didn't hurt. Itcertainly didn't hurt that the secretary of the Treasury was a formerGoldman CEO. It certainly didn't hurt that a lot of the people at the tablewere former Goldman employees. It certainly didn't hurt that the air thateverybody breathed contained the assumption that we can never do anything toharm Goldman Sachs. So sure, I mean, I can't really see how their politicalinfluence didn't have anything to do with it." Why is it, do you think, that bankers on top of org charts are still rakingit in? "Really what's going on is the people at the top of firms wanna make alot of money. And if they're gonna make a lot of money they gotta pay thepeople under them a lot of money. So it's a very elegant form of theft rightnow ... and when you're surrounded by a lot of other people who are beingpaid millions of dollars of year, you're not thinking, 'Oh, it's outrageousfor someone to pay me millions of dollars a year.' You're thinking, 'It'soutrageous that Jim got $500,000 more than me.'" Why is the government still helping these firms out? "Because the losses were sensational. I mean, in the financial systemthere are now $1.75 trillion of losses from the subprime mortgage bonanza.And they're firms that really, look, they really shouldn't exist. If themarket had been allowed to function they would not exist. They'd be failedenterprises."